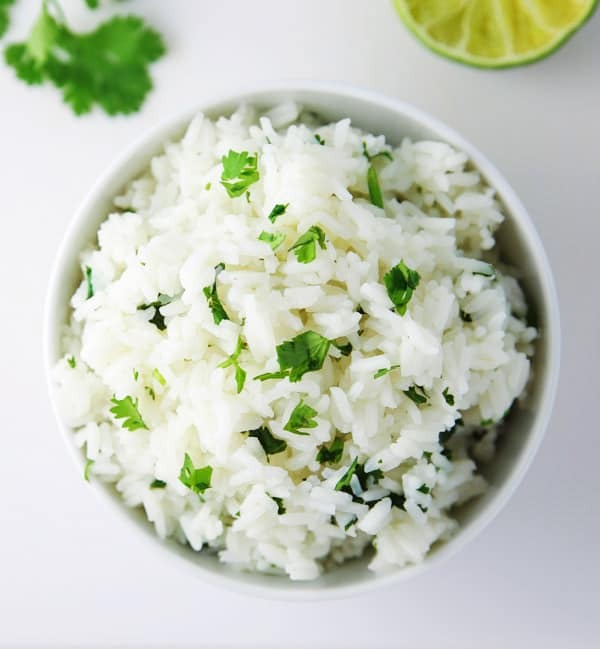 This Cilantro Lime Rice is the perfect side to any Mexican dish! 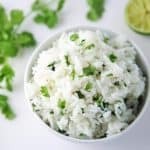 I recently paired this with my Slow Cooker Chicken Burrito Bowls, which was sooo delicious. Have you tried this yet? 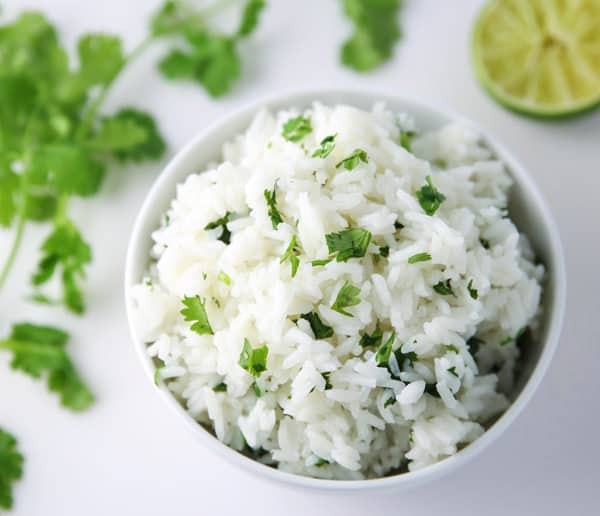 I first got addicted to Cilantro Lime Rice when I started eating at Chipotle. But it gets kind of expensive eating out all of the time. So I try to recreate my favorite dishes that I have when I eat out, and make them at home to save money $$. That’s it! 3 simple ingredients! You can add this as a filler for burritos, tacos, or just eat it on the side with your favorite Mexican dish. I’m thinking this would be good mixed with some Black Beans as well.. really the possibilities are endless with what you can eat this with! 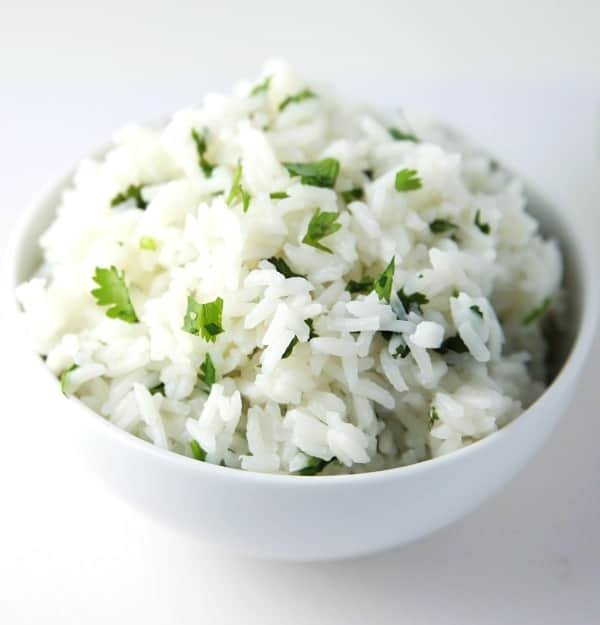 Add rice and water to a medium saucepan. Turn heat down to low to simmer, cover, and cook 15 minutes. Remove from heat with lid on and let steam for 10 minutes.